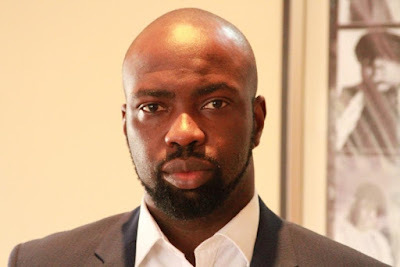 Chocolate City boss, Audu Maikori, on Tuesday collapsed at the 2017 Women in Management, Business and Public Service (WIMBIZ) holding at the Muson Center in Lagos. The doctors at the venue revived him, before he was taken to St Nicholas Hospital for further treatment. One of his close associates confirmed the incident to newsmen: “Yes, it is true,” he said. “Audu slumped at the event and was rushed to the hospital. But he is okay now and is recovering well”, he added. When pressed on what exactly was the cause of his collapse, Ayide-Israel simply said: “I don’t know”. The music entrepreneur had just finished moderating a question-and-answer session with Mo Abudu and was taking pictures with fans, when it happened. Maikori was arrested and detained recently for his tweets about the purported killing of five students in Kaduna by Fulani herdsmen. He was released following the intervention of former Education Minister, Oby Ezekwesili. Governor Nasir El-Rufai has, however, insisted he must be prosecuted.